Pebble is now owned by Fitbit, its apps and services are only guaranteed for the course of 2017 and a lot of people are pretty upset about it. Of course, this doesn't mean your Pebble, Pebble Time, Pebble Time Round or (eesh, sorry) Pebble 2 will magically stop working and the SDK, developer portal and app store are all still up and running for now. That said, the app store will go "offline" at the end of this year - look out for the Rebble store, though, a replacement app store which is under development on GitHub. (People still really love Pebble). A lot of devs are no longer supporting their apps though some are chatting on Reddit about still creating apps and particularly watch faces. Apps that have disappeared from the store so far include Evernote, AWear and MapMyRun. Whether you've been with the smartwatch company from the start or you crowdfunded one of this year's devices, we'll keep checking in with Pebble's apps for the foreseeable future. Until Fitbit really does pull the plug. That said, here's our pick of Pebble apps that still work for us on a Pebble Time watch - you might see the greyed out thumbnail, just ignore that. Let us know in the comments, which ones you're still using. Pixel Miner has been a hit on Pebble and is the work of dev and consultant Will Luton. The aim of the game is to help your man well, dig pixels, which you can spend on better equipment to dig quicker. It's nonsense really. Absolutely addictive nonsense. In 8-bit colour for the Pebble Time range, TripAdvisor does exactly what you'd expect - using your current location to recommend restaurants, bars and other attractions. User reviews are, of course, on board and there's also a nice navigation mode that will point you in the direction of your chosen establishment without the need to ever get your phone out of your pocket. Uber wasn't first to get its Pebble app out but it's one of the biggest names on the app store. 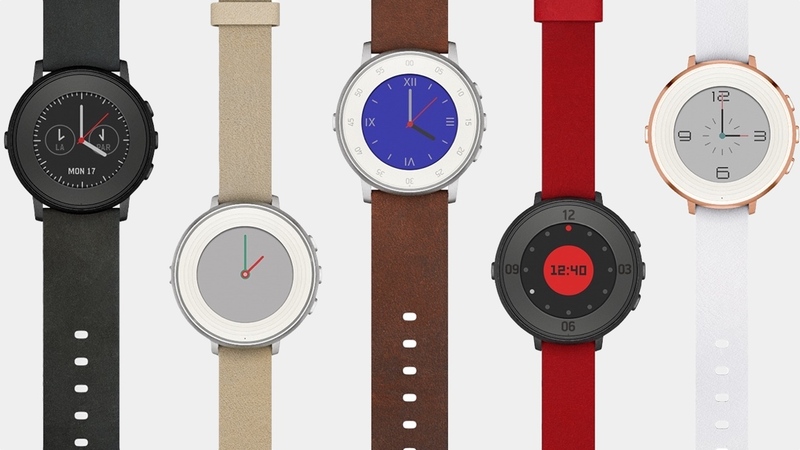 It makes use of the Pebble Time's colour screen with big, bold alerts to keep you on top of your minicab ordering. You can open the app then hold the Pebble's middle button to call a cab to your current location or select from a number of favourite locations. Once ordered, there's also a map to track your driver as it arrives. This wonderfully named app allows your Pebble Time to mimic a great feature that's found on the Apple Watch and Garmin watches - reminding you to get up and walk around when you've been sat down too long. Deskbound Pebble wearers can set the app to automatic mode to set the frequency of alerts e.g. every 20 minutes, how long you want to stand for each time and which days you need the reminders, Monday to Friday, say. Designed to be used with your phone's GPS, the popular RunKeeper Pebble app lets you check on your stats like pace and distance using your smartwatch. To download this app you need to have the RunKeeper app on your phone already. Initiating a run in your mobile app auto-opens the Pebble app and pausing an activity is as simple as pressing the middle button while you're in the RunKeeper screen. Still, when you want to stop, it's back to your phone. A cool feature of Pebble Time apps is that they can be integrated right into the Pebble Timeline UI. With Battery+ you'll not only see how much battery you've got left - percentage and time metrics - you'll also get notifications in your Timeline of the last time your watch was charged, an estimate of when it will need plugging in again and an average use per day figure. There's also a detailed graph mode that lets you know when you're hammering the power the most. Want to get in on the Misfit action without splashing the cash for a Shine or a Flash? No problem - the Misfit app for Pebble syncs up with the iOS and Android Misfit apps and tracks metrics such as calories burned, sleep slept and distance travelled. Another smart home control app, Leaf is specifically for Nest's devices - its Learning Thermostat and Protect smoke and carbon monoxide alarm specifically. Leaf is part of the Works with Nest program and offers handy, coloured icons to check the status of your home tech and quickly adjust the temperature and modes. GoPro cameras can be remote controlled via your smartphone but now you can control this using your Pebble watch. It's compatible with GoPro's Hero3, Hero3+ White, Silver and Black and Hero4 cameras. Start and stop action cam recordings, tweak settings and browse menus. There's no direct control or a live feed yet but it offers you what you most want on your wrist when things get gnarly. What Pebble smartwatch apps are you still using? Which have you spotted that have disappeared? Let us know in the comments.